BMW is recalling 109,000 previous generation UK 5 Series and 6 Series models because of a potential electrical problem. The problem could cause a fire in the boot, but no injuries or accidents related to the fault have been reported and the recall is precautionary. All type of 5 Series and 6 Series are affected, including saloon, touring, coupe and M models. Build dates are March 2003 to July 2010. According to BMW the battery cable in the boot could be mounted incorrectly, resulting in malfunctions, problems with starting the car, or in extreme cases some scorching or, possibly, a fire. There’s no reason to panic, though, because BMW says that only 1% of cars checked so far have shown the fault. If you own the previous generation BMW 5 Series, built from 2003 to 2012, or the previous generation 6 Series, built from 2004 to 2011, then your car may be affected. 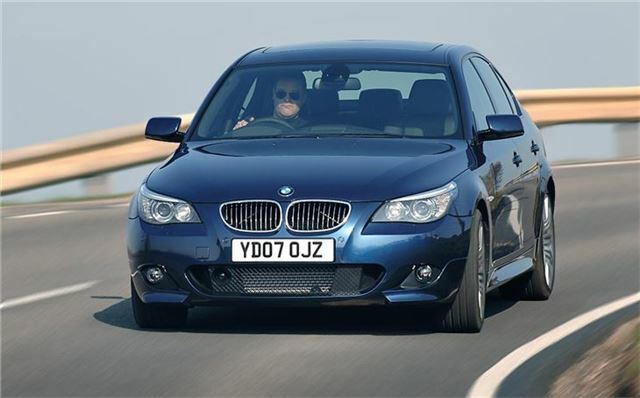 BMW is working with the DVLA to gather details of current BMW 5 Series and 6 Series owners, so you should expect a letter withing the next few weeks. You will be expected to take the car to a local dealer for a fix to be undertaken, which will take around 30 minutes. There is no charge for this. If you own a current generation 5 Series or 6 Series there is no need to worry, these models are built with different wiring and are not at risk. If you have any doubts about your particular car or you don't receive a letter and you're still worried you can call the customer services number on 0800 325600. A positive approach to satisfy both the existing and new users.